When considering the construction of a outdoor living environment you will want to start off the process by planning for a successful result. Our design process will numerically identify the design elements of which the usages of space are to be utilized and the design will then address the deeper meaning for the installation standards, protocols, procedures and like-minded quality that should be implied in offering a great design! Please click on the BOLD-HIGH-LIGHTED font below and the links on this page will take you to the page specific information that is exhibited in the titles below. The swimming pool will also involve the installation of several operationally functioning components i.e. Skimmer, Main Drain, Auto-fill Device, Overflow, and others. 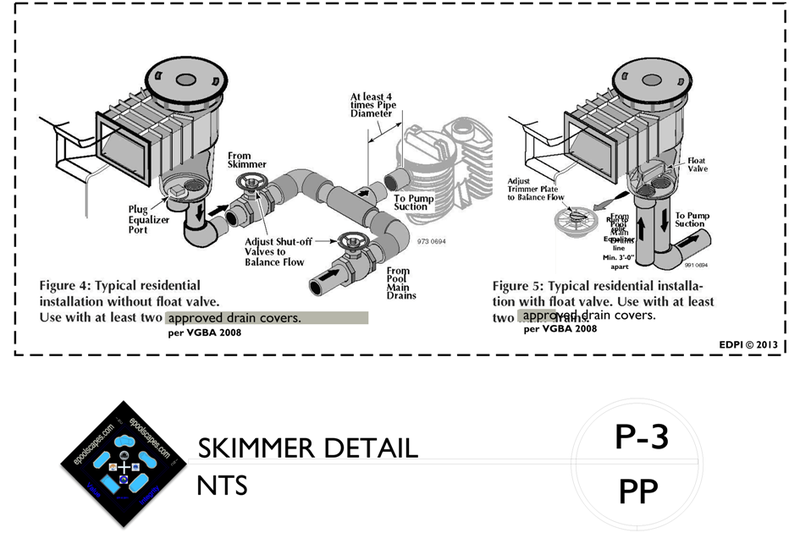 These individual components are further explained via the exhibits on our Construction Details. Our Construction Details are purchased individually and can reflect the more in-depth protocols and procedures for proper installation.